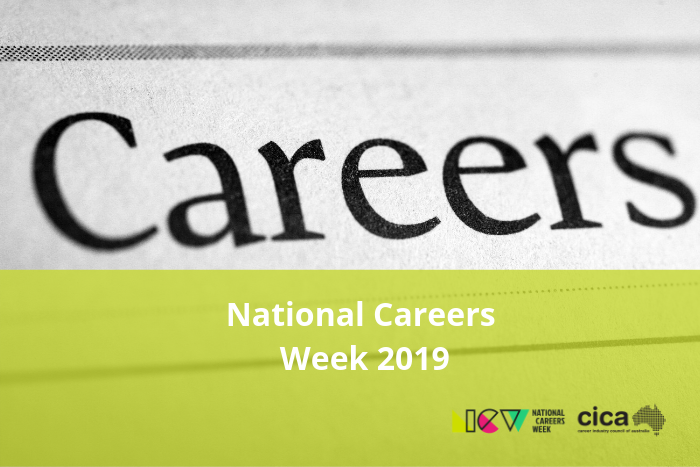 National Careers Week aims to celebrate careers, career development, career development practitioners and services and promote the economic, social and personal benefits of career development. This year it will take place from 13-19 May 2019. Provide a focus on careers and career development to support all Australians. Develop community awareness of the concept, benefit and value of career development. Raise aspirations, challenge stereotypes, and broaden horizons. Highlight the need for ongoing reskilling and upskilling to support careers throughout life. Identify the changing nature of work and its impact on Australians. Showcase industries and the career opportunities available in them. Click here to view the website, keep up to date with what’s happening or register to showcase your own event. They have helpful resources that you can download and use to help plan your own event.